Home>New Mixtapes>Soulja Boy Mixtapes> Soulja Boy Is Back With His New EP "Tell Ya"
Soulja Boy returns with a new three-track set titled, "Tell Ya." Soulja Boy's rate of consistency hasn't really changed over the years. He continues to flood the streets on damn-near a weekly basis with new music and videos. Suffice to say, he's steadily grinding in the studio. Although he has an album dropping this summer, the rapper came through with a little something to hold his fans over until then. 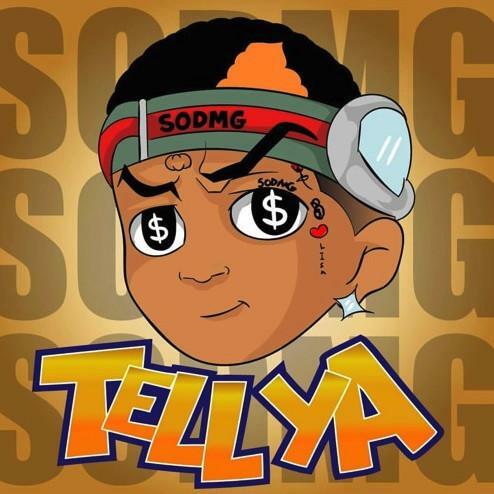 Soulja Boy returns with a short project titled, Tell Ya, The rapper's latest project is a three-track effort and serves as his first project since King in October. The three track effort is currently available on his Soundcloud page. Aside from the release of Tell Ya, the rapper recently appeared in Higher Brothers video for "Top." He also collaborated with Ray J in the video for "Rich N Whippin." Keep your eyes peeled for new music from Soulja Boy. MIXTAPES Soulja Boy Is Back With His New EP "Tell Ya"